The rescuers moved quickly, minutes after the first block of ice tore loose from Mount Everest and started an avalanche that roared down the mountain, ripping through teams of guides hauling gear. But they couldn't get there quickly enough. No one can move that fast. Not even the people who have spent their lives in Everest's shadow, and who have spent years working on the world's highest peak. 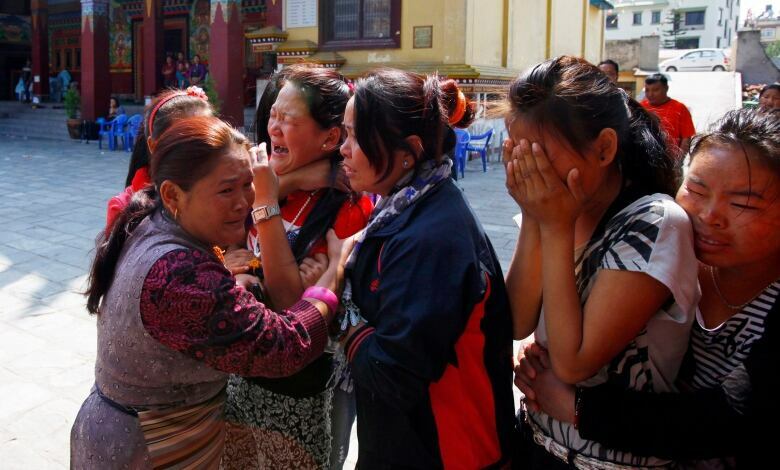 By Saturday evening, the bodies of 13 Sherpa guides had been taken from the mountain. Three more were missing, though few held out hope they were still alive, 36 hours after Friday's avalanche. Four survivors had been flown to hospitals in Katmandu, Nepal's capital, where they were in stable condition. It was the deadliest disaster ever on Mount Everest. For the Sherpas, the once-obscure mountain people whose name has become synonymous with Everest, and whose entire culture has been changed by decades of working as guides and porters for wealthy foreigners, it was a brutal reminder of the risks they face. Many gathered Saturday at the Boudha Monastery in Katmandu, where prayers were said for the dead. "The mountains are a death trap," said Norbu Tshering, a 50-year-old Sherpa and mountain guide who now lives mostly in Katmandu. With his white hair and dark, wrinkled skin, he looked far older than his age. In hands roughened by years of tough work, he worked a string of Buddhist prayer beads. "But we have no other work, and most of our people take up this profession, which has now become a tradition for all of us," he said. The avalanche happened early Friday morning at about 5,800 metres, as Sherpa guides were hauling gear through the Khumbu icefall, a treacherous terrain of crevasses and enormous chunks of ice. The men were near an area known to climbers as the "popcorn field," because if its bulging ice, when an enormous piece broke away from a high glacier and came tumbling down the mountain, setting off an avalanche of ice, according to the website of International Mountain Guides, an Ashford, Washington-based company that had a team that witnessed the disaster. Nepalese tourism officials said the guides had been fixing ropes — using clamps and special screws to attach miles of nylon cord used by the streams of climbers who begin heading for the summit this time of year. But guiding companies said the ropes had already been laid down, and the Sherpas were carrying loads of tents, oxygen tanks and other gear to the higher camps used by climbers as they approach the summit. Special teams — known on Everest as the icefall doctors — had also already been through the Khumbu, fixing lines and rigging aluminum ladders over crevasses. They were quickly called back after the avalanche to start building a new path, though climbing had been halted for at least a couple of days. International Mountain Guides said on its website that many climbers had been pleased by the icefall doctors' work this year, since lines had been fixed in an area "that is normally not so exposed to the frequent slides." When the avalanche hit, dozens of climbers and guides raced from the base camp — the mini-city of nylon and prayer flags and nightly parties built every year for its hundreds of temporary residents — in search of survivors, said Prakash Adhikari of the Himalayan Rescue Association, which has a medical team at the camp. But while the icefall is barely 500 metres higher than base camp, it can easily take a couple of hours to reach the popcorn field, even for the strongest climbers. It's unclear whether any of the dead could have been saved, even with immediate rescue. Many probably died instantly, hit by blocks of ice that can easily be larger than a car. A day after the disaster, many Sherpa guides spoke of their work in ways that reflect the complexities of poor people working in a deeply hazardous place. The work is dangerous — a year rarely passes without at least one death on Everest — but the Sherpas, who were once among the poorest and most isolated people of Nepal, also now have schools, cellphones and their own middle class. All that is the result of the economy of Mount Everest, which brings tens of millions of dollars to Nepal every year. "We have no problem with what we do. It is a job which helps feed our families, sends our children to school," Dawa Dorje, 28, a mountain guide from Everest's foothills, said in Katmandu, where he was picking up equipment for clients. "We make more money than most of the people in the country. If the foreigners did not come, then we would be out of a job. They need us and we need them — it is a win-win situation," he said. While the average annual income in Nepal is just $700, a high-altitude Sherpa guide can make $5,000 during the three-month climbing season. Climbers, meanwhile, can pay $100,000 for a chance to reach the summit. And some of what happens on the mountain, Dorje noted, comes down to sheer luck. 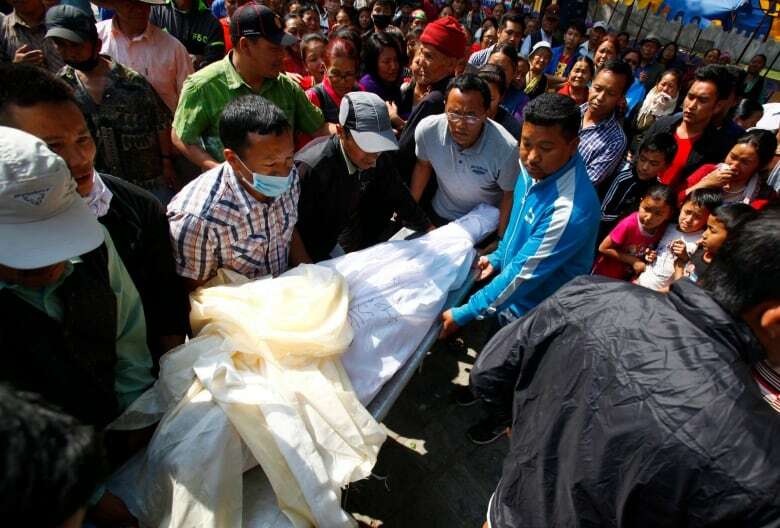 "There have been concerns why so many Nepali Sherpas were killed in the avalanche. But they were there at the wrong time. If the avalanche had struck a few days later (when climbing teams begin working their way up Everest), then there could have been many foreign fatalities too," he said. However, on well-travelled, high-prestige climbs like Everest, the Sherpas are the ones who go first up the mountain. They break the deep snow, lay the fixed ropes and carry the heaviest loads. They face avalanches, altitude sickness, lack of oxygen and brutal cold. "The risks for Sherpas on the mountain are twice that of the Western climbers," said Nima Tenzing, a 30-year-old guide who also runs a shop for trekking gear in Katmandu. Still, he shows no resentment. "Death and injury on the mountain is part of our lives now. We have lost many of our people to the mountain. But we have to pull ourselves together and continue our work," he said.